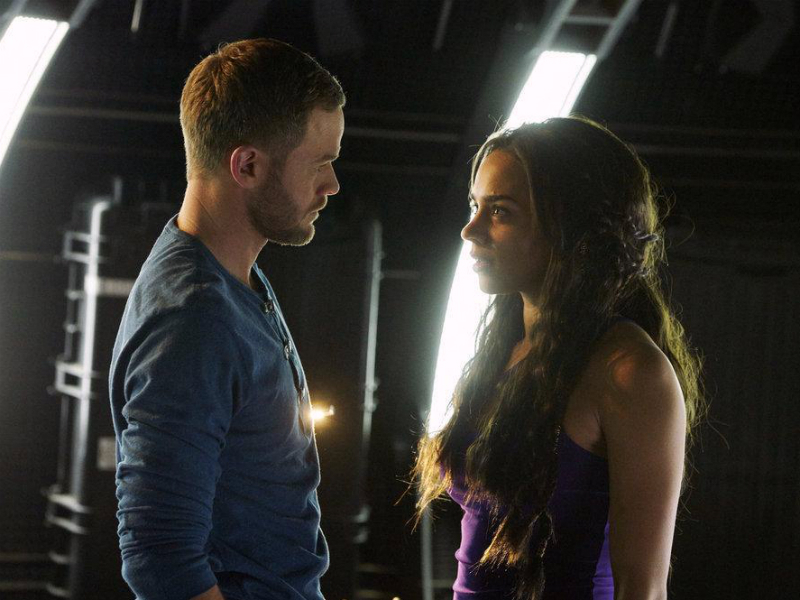 Johnny and the Killjoys are ready to meet Pawter’s wealthy and powerful parents on a new episode of Killjoys this week. It’s a family reunion that the good doctor isn’t exactly looking forward to, as she hopes to spread the word about the plans to put up fences around towns all throughout the Quad. 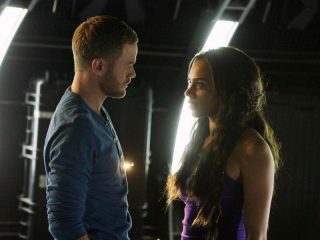 Also this week: The Android goes undercover with help from her new chip on Dark Matter, and the rest of the Raza crew find themselves in Jace Corso’s crosshairs while seeking justice for the murder of their friend. And we’re just a few weeks away from the return of Fear the Walking Dead on Sunday, August 21! 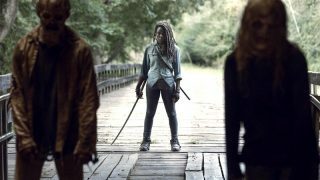 AMC released a killer trailer for the second half of Season Two last week at Comic-Con — check it out below. “Meet the Parents.” Johnny escorts Pawter home for a chilly family reunion, while D’av experiences surprising side effects from Khlyen’s Red 17 experiments. 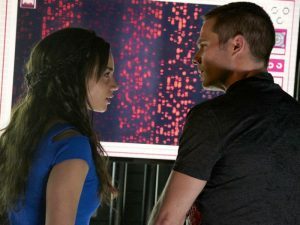 “We Voted Not To Space You.” The Android goes undercover to help the Raza crew track down a dangerous but familiar foe.